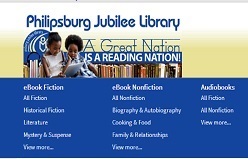 The Philipsburg Jubilee Library has a large collection of DVDs available for library users. This collection of more than 900 DVDs is not only for children. Our DVD-collection includes classics, documentaries, and feature films for children, teenagers and adults. The first two days of borrowing a DVD are free of charge. After that you will be charged a daily fee.The library charges are Naf 1,75 per day for children and teenagers and Naf 3,50 per day for adults. Teachers can borrow DVDs for school use with a five day free of charge period. The library also has a growing selection of books with CDs for children. Children take great pleasure in listening to stories. CDs that come with a copy of the book are particularly valuable, because your child can follow along as the narrator reads. You'll find that these books not only provide you with an occasional break from reading (and rereading the same stories again and again); they also enrich your child's multi-sensory experiences with books. 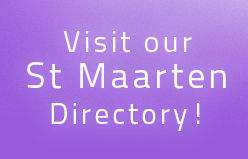 To see what the library has to offer in these collections, please visit the library. Interactive Books feature read-along technology for young readers to listen to and "page through" a book on a computer. Interactive Books are great for emergent readers, struggling or reluctant readers, English language learners, or as a fun, independent reading option for all.